Why am I covering this report? 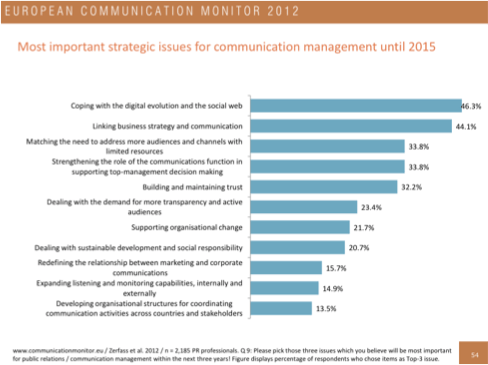 It show the biggest challenges for marketers and communicators today. Because it has data from previous years that allows to spot trends. 46 % of the professionals feel that their biggest challenge is coping with the digital evolution and the social web. Coping with this should be your biggest priority. Study the fields of content marketing, inbound marketing, social media, and set-up a project to implement these marketing tactics. You could do this the pragmatic way, but eventually this might take to long. So if I would be you, really threat this as a strategic projects. As usual, begin with the end in mind and work your way to it. Social media: Large gap between perceived importance and real implementation. 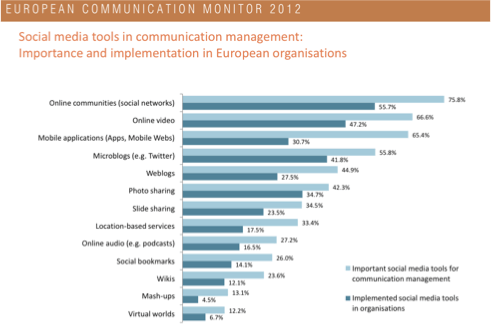 As a further part of the study, it is interesting to see that there is a gap between Europe and the US, in which organisation in the US are using more social media communication tools. As the study also points out, and I fully agree, is that “communicators” need to start using digital technologies and online tools as part of the regular work, AND privately use digital technologies and online tools. Social media: don’t we have better things to do ? How do you act as a B2B company in social networks? 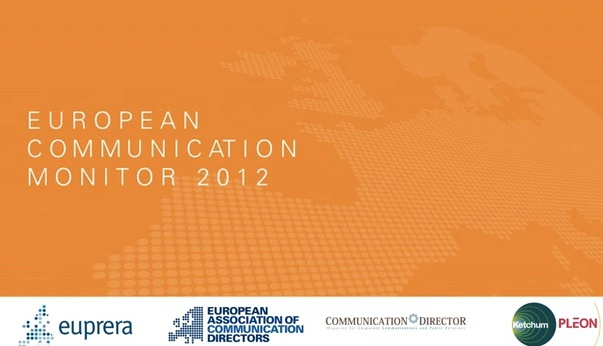 The European Communication Monitor is the largest transnational survey on strategic communication worldwide. Almost 2,200 professionals from 42 countries participated in 2012. The ECM 2012 edition covers issues like integrated communications in fragemented publics, ethical challenges, competencies and qualification needs, strategic issues relevant within the near future, as well as social and mobile media.